So you’ve done the hard stuff. You got clear about what you want, you built your confidence, you took control to change your life at work. And after all that, you now have new opportunities waiting for you, and so you’re ready to start the process of leaving your job. Let’s not screw it up now. Because no matter how or why you’re leaving, what you do when you leave is critical. And while there are a lot of actions a cool, red cape-wearing professional needs to take when they’re leaving a job (whether or not the job soared or sucked), there’s one place where I’m consistently hearing people struggle. It seems simple, but many people wrestle with writing an email to say goodbye. Here are my do’s and don’ts. 1. Do decide to do it. 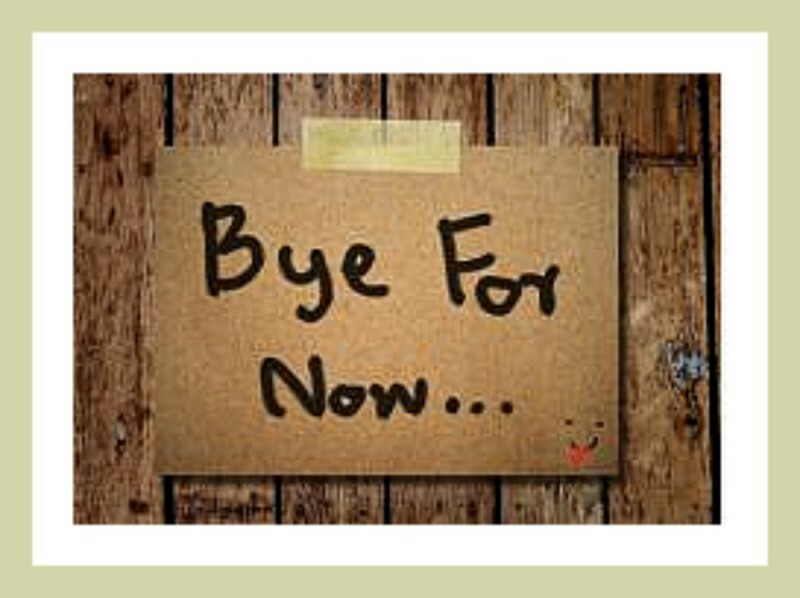 Your farewell email isn’t about you, although it’s good never to take informal communication like the grapevine for granted (how many things do YOU still get surprised about in your organization?). Your farewell email is about showing respect to the relationships you’ve built there, the experiences you’ve had, and the knowledge you’ve gained. It’s disrespectful just to just fade away. So don’t. And don’t get lazy and rationalize that no one cares about you anyway. (Even if you have evidence that they don’t, take the high road. It’s likely that doesn’t apply to every single person you worked with.) Write the note. 2. Do take time to write your message well. Well, you’re leaving your job. And while you’re probably busy getting things in place for your successor or your boss, you’re likely not taking on new projects or clients. So yes, you have time. Sit back for a few minutes, and reflect on your experience at the company. What are you grateful for? What did you learn? Who are the people who mattered? Jot those down. Whether or not they make it in your note, it’s good to leave your job with this short reflection of what was good there. Not a writer? 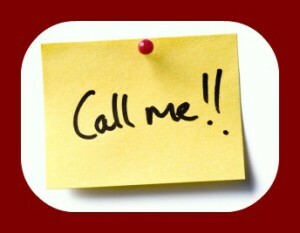 Take your phone and say what you want to say out loud, and then play that back and write it down. 3. Do focus on an expression of thanks. Even if you’re leaving under stressed circumstances, it’s a sign of strong character to call out one or two experiences, learnings or people you are grateful for in the work you did. Include that in your note. While it hasn’t always been easy, I really appreciate the support of Sally Davis and Angela Carn who always led our team with grace and professionalism. The things I’ve learned here have made me a better [your profession; ie., consultant/programmer/assistant/juggler]. I will always be grateful for the opportunity to work on the XYZ project, which helped me grow my skills in [your area of expertise]. 4. Do include your future contact information. Okay, insider’s secret. . . THIS is the primary purpose of this note. You’ve spent often years building these relationships and connections, and probably have taken them for granted that they’ll always be in your corporate backyard. But now, you’re leaving. But you don’t want to leave them. Your new work email address if possible. In a separate action, please go NOW and connect to all of the people you know in your current workplace that you’re not already connected to. LinkedIn acts as your professional relationship database, and no matter what work you’re doing next and after that, you never know which relationship will help you get where–and who might need your help someday. 5. Do keep the door open to contact you. Questions come up. Files get lost. Teams get stuck. And people get embarrassed going back to people who’ve left. Unless you’ve formally left the door open. So stay classy, San Diego. Even if you’re leaving under unfun circumstances, be clear that the offer stands for people to reach to you if you can be of help, professionally or personally. 6. Do send your note at least 48 hours before you’re gone. If you work in a physical office, give folks a chance to come by and say goodbye in person. Expect that someone who gets your note will be surprised that you’re leaving, and may want to connect with you further. If you’re in a situation where you’re asked to leave immediately, you can still send the email–just do it from your personal email. Then move on to step #7. 7. Do consider snail mail for the ones who’ve meant the most. In addition to your public email (or emails if you need to write to different groups or break your list up so your email provider doesn’t kick it back), do think again about the people who’ve made the most impact on you. Take a few more minutes, and write them a snail mail note. 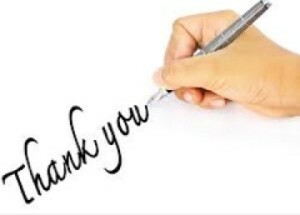 It doesn’t have to say much, just a few words of thanks. Today, a short, handwritten note gets noticed–and remembered. Now that’s classy. YOUR TURN: What do you think needs to go in a good farewell email? Join the conversation on our page on Facebook or on LinkedIn and tell us more! MORE FREE RESOURCES! Get my training video “The Only Three Questions You Need to Answer Now to Get Career Clear” when you sign up here.